Lancaster Bangkok hosts banquets and well-organised conferences and events worthy of the Lancaster name. Whether you are looking for a meeting area or a function room, Lancaster Bangkok will meet your event-planning needs with our options. A dedicated and caring event and conference planner will be delighted to manage every detail of your event in the hotel’s sleek and flexible facilities. With 9 modern meeting rooms and the Siam Ballroom, you will find the right venue for any occasion. Each space is versatile and fully customisable, with catering and set-up options all tailored to your preferences. Each room features natural daylight, floor to ceiling windows, complimentary Wi-Fi, cutting-edge audio visual equipment and spacious breakout areas. Guests can also enjoy refined culinary services. 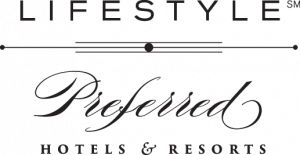 Our resourceful meetings concierge ensures all events are executed flawlessly. Our portfolio of venues is varied and distinctive. They are able to accommodate gatherings from 10 to 300 attendees. From the elegantly appointed Siam Ballroom to the light and airy private boardrooms and meeting rooms, guests have access to an array of services and amenities. 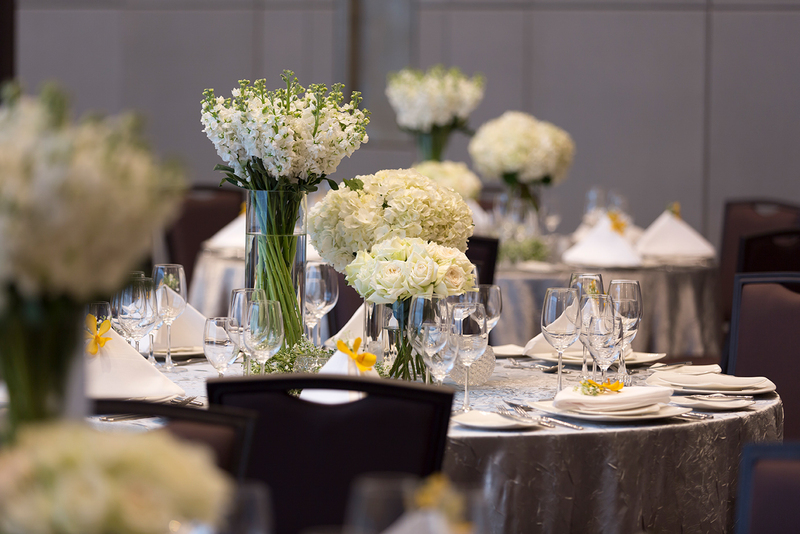 The sophisticated ambience and modern style at Lancaster Bangkok are perfect for engagement and wedding receptions. We offer a captivating venue to hold this once-in-a-lifetime occasion. The new 5-star hotel, Lancaster Bangkok, offers the authentic Thai experience with impeccable hospitality. Whether you require a meeting room to be used for company training, or a larger function room that can be used for plenary or theater format meetings, the Lancaster Bangkok can deliver professional meeting and events function services to the very highest specifications. Each meetings space is versatile and fully customizable, and features natural daylight, floor to ceiling windows, free Wi-Fi, cutting-edge AV equipment and spacious breakout areas. All meeting participants also have access to the hotel’s Business Centre. With a total of nine modern meeting rooms and events spaces that includes the elegantly appointed Siam Ballroom, the hotel is able to provide the the right setting and context for any meeting or special occasion. Arriving at meetings on time in Bangkok can be challenging especially when having to cross the city, but the Lancaster Bangkok is a short walk (6 minutes) from the MRT for Phetchaburi train station, while Asok BTS station is less than 2km away and can be easily accessed via the connecting MRT. The Skytrain departs from Sukhumvit Road, which is again a short walk or taxi ride and provides convenient access to many locations around the city. Also a short walk from the hotel (5 minutes) is the the Airport Rail Link providing an easy and quick link with Bangkok international airport. 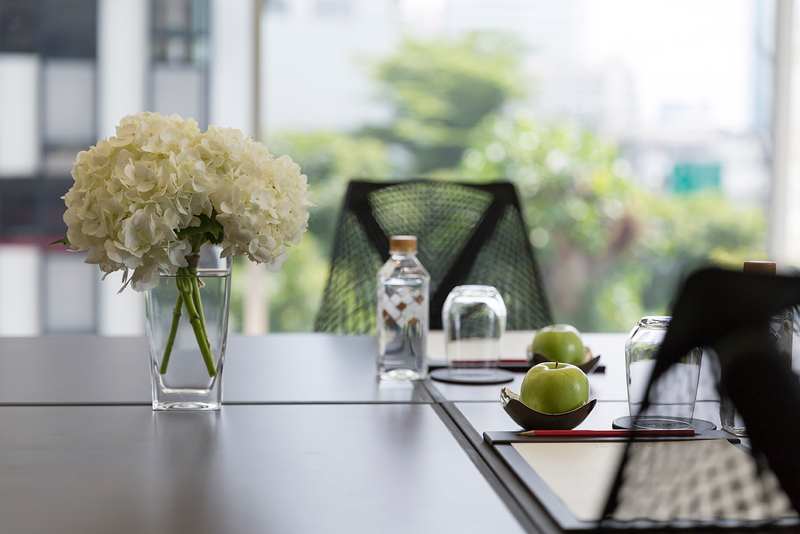 Whether hosting or participating in a meeting being organized at Lancaster Bangkok, afterwards you can choose to relax in one of our luxury rooms, apartments or suites with breathtaking Bangkok city views. The Lancaster Bangkok hotel is conveniently located for business in the area around Sukhumvit Road, in the heart of the Makkasan district. Both QSNCC and BITEC are a short taxi ride or alternatively by MRT/BTS – while the IMPACT Arena is also just 20 minutes by taxi. Lancaster Bangkok presents the city that never sleeps with an authentic, modern and stylish 5-star luxury hotel that business travelers find comfortable and close to all the essential points of interest. Once our business guests have finished with meetings, our location on Phetchaburi Road makes it the the perfect base from which to explore the amazing and dynamic city of Bangkok. For guests that wish to remain in the hotel, they can enjoy Asian and exquisite international cuisine in our in-house restaurant the Siam Brasserie; Or enjoy Thai tapas, light snacks and delicious cocktails in the Lancaster Bar; or in alternative from the the rooftop High Bar with views looking out over Bangkok. For guests wishing to relax and unwind, Lancaster Bangkok boasts an entire floor dedicated to wellness, offering a full complement of holistic and traditional Thai therapies, and heat and ice experiences. For guests that like to start the day early our 24-hour fitness with personal training will ensure the day starts positively. We look forward to welcoming you at Lancaster Bangkok and helping you do business in the city.